This isn’t about who own what in the land of Palestine, this isn’t about how much Palestinian land that has been stolen by the corrupt Israeli regime. This is about three young Israeli men going missing and the fallout and terrorism that has transpired from it. In two weeks from that date, the IDF a terrorist group that works for the Israeli government, arrested over 600 Palestinians, including teenagers and children. In the entire time this conflict occurred, Israel murdered 1,660 Palestinians and injured around 10,626, most of which are children. Israel attacked a UN school in Gaza, but the USA STILL provided Israel with the weapons to murder more civilians, the weapons that were used to level much of Gaza. Anyone that uses a level head, can see that Israel’s plan is to exterminate all Palestinians and completely turn what remains of Palestine into Israel, Israel didn’t even exist 100 years ago, yet Israel claims it is their home. 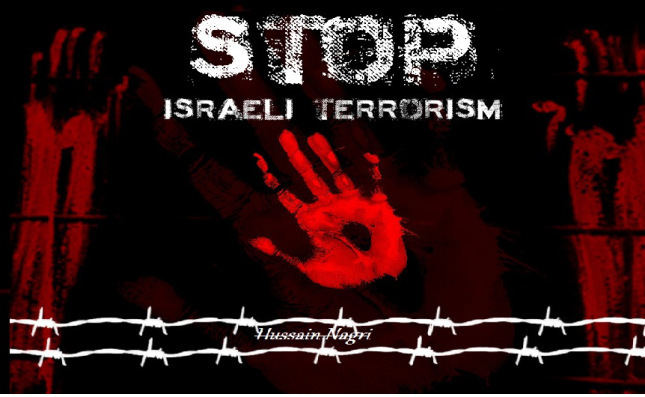 So really who is the real monster in the Middle East, who is the terrorist ? It is not the Palestinian child being shot in the head with by an Israeli sniper. It is not the Palestinian child being shot in the face with a Israeli gas cannister. It is not the Palestinian child being run over by a car owned by an Israeli living in an ILLEGAL settlement. It is not the Palestinian woman trying to keep her children safe from Israeli’s living in illegal settlements. It is not the Palestinian man fishing in the sea, trying to feed his family, who’s home has been devastated by US made/funded Israeli bombs. It IS the Israeli government who build illegal settlements on Palestinian land. It IS the Israeli who joins the IDF. It IS the Israeli who sits on a hill cheering and celebrating as IDF terrorist bombs drop on children sleeping in their beds an night.